We bring the Bits together. Designing strategy games for the ambitious gamer. 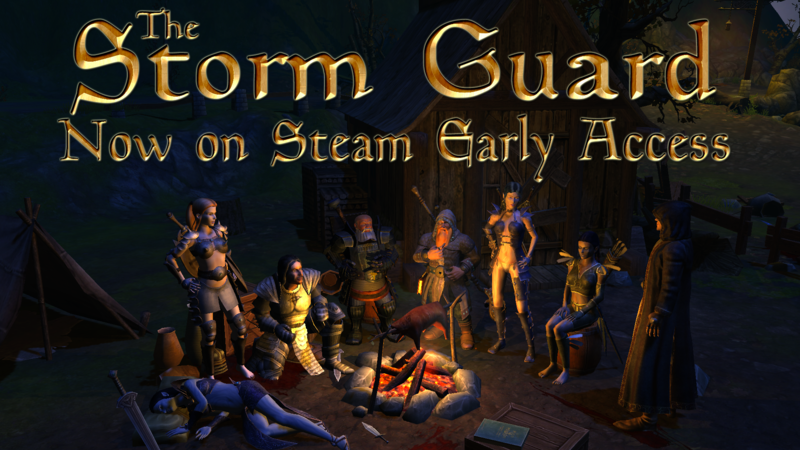 it is about time: the Storm Guard is now available on Steam Early Access! Assume your position and lead the order in its quest against the ancient dragon and its minions that are threatening the realm of men. Stand strong and do not falter! It is important that you understand the implications of the Storm Guard being on Early Access. Essentially, the game is totally playable, enjoyable and free of game-breaking bugs, but it is not yet finished. For one, the final encounter against the ancient dragon hasn’t been implemented. You can still play it in endless mode but for now, you cannot complete it. We’ll add this and other features during the Early Access phase also taking your suggestions into account. In general, how the game develops also depends on you and your feedback. We encourage you to get involved on the Steam community forums. Especially if you are a min-maxer, we’d love to hear from you how about non-obvious overpowered ways to play the game so we can close any loopholes. The final encounter against the ancient dragon. At least 3 more playable heroes. See you on the battlefield, Lord Commander! Sign up with your email to receive updates on our games. We take your privacy seriously. Your personal data will remain confidential at all times.